If you live in Minnesota or Wisconsin, the Border Battle is a big deal to football fans. Since I’m only a KU Jayhawks men’s basketball and NHL hockey fan, this match-up is just fun to watch. As a side note: photo was taken at a personal favorite place in Wisconsin with free wifi, and the Packers had just scored a touchdown. 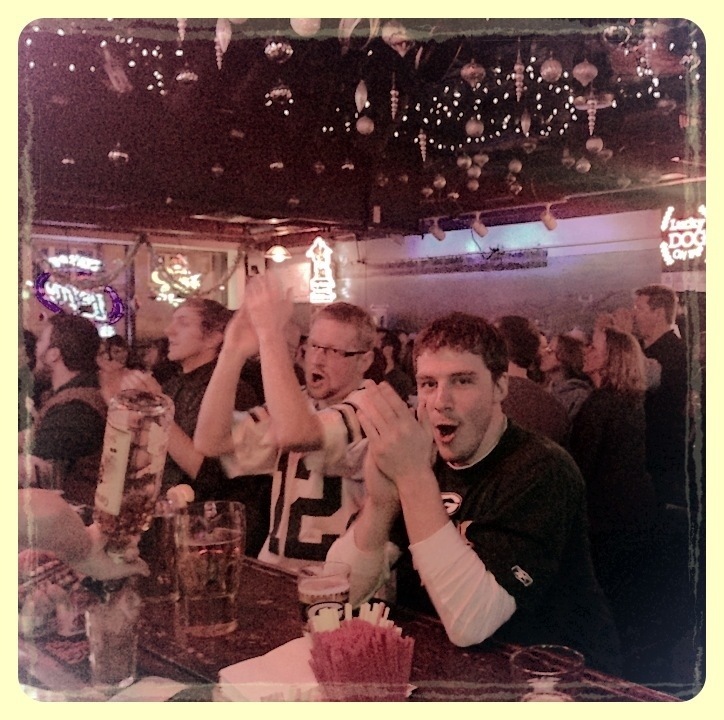 This entry was posted in Photography and tagged Green Bay Packers, Minnesota Vikings, NFL, Photo 365. Bookmark the permalink. Rock Chalk, Jayhawk. KU ! !